Manhattan gets all the glory, but if you want to know the real New York City, you'll find it in Queens. Real New Yorkers, real-people stuff to do. We're not talking celebrity haunts, celebrity sightings, restaurants you can't get into unless you are an A-lister. You'll find yummy ethnic food, great green spaces, interesting neighborhoods to explore, beaches, history and mind-expanding museums. And if it's big-league sports you're looking for, you've got the New York Mets, who play at Citi Field in Flushing Meadows, and the U.S. Open for tennis, the last tournament of the Grand Slam, which also includes the Australian Open, the French Open and Wimbledon. 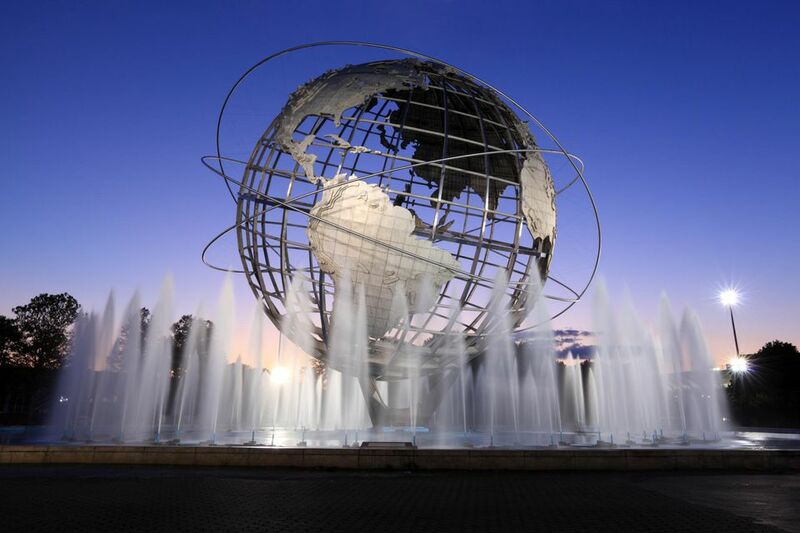 This world-class event takes place annually from late August into the first two weeks of September at the Billie Jean King National Tennis Center in Flushing Meadows. If Queens is your home territory, find out all there is to do right where you live. You'll find tempting ethnic food choices all over Queens. Eat in one of the best Thai restaurants in New York City and order your meal Thai spicy or get a slice in Ozone Park, Astoria, Glendale or Middle Village. Get a roti in Richmond Hill, a kebab in Jackson Heights or dim sum in Flushing. If you're adventurous, eat meat skewered on a sword in Rego Parkistan . Eat Korean food in Bayside, Turkish food in Sunnyside or go on a taco taste along Roosevelt Avenue. Celebrate your birthday at Pio Pio, your anniversary at Il Toscano and your love of "Goodfellas" at the Clinton Diner in Maspeth. Top it off with Italian ices at the Lemon Ice King of Corona or challenge your family to compare cannoli from Italian bakeries. Drink beer at Bohemian Hall's beer garden or get a little tipsy on Vernon Boulevard. And don't bat an eyelid when the waiter puts anise next to your espresso at any Italian restaurant in northeast Queens. Besides checking out regular live music venues, you can dance with dragons at the Lunar New Year Festival in Flushing or dance at a Greek nightclub in Astoria. If you're in Queens in the spring, summer or fall, you'll find something to love in the borough's parks. Go birding at Jamaica Bay Wildlife Refuge or fishing at Gantry Plaza State Park . Camp at Alley Pond Park and challenge your family to the adventure course. Get a German beer and catch a movie at Atlas Park or go to Forest Park and take a spin on the carousel or sway to the music at the Forest Park bandshell. Forest Park is an ideal place for a peaceful fall hike. If you're into biking -- motorcycle or bicycle -- ride along the Cross Island Parkway and Little Neck Bay all the way to Fort Totten or bike the Vanderbilt Parkway between Cunningham Park and Alley Pond Park. Or just bike a neighborhood. Any neighborhood. If you are into architecture, there are lots to discover in Queens. Stroll the Tudor-ific Forest Hills Gardens and imagine the homes belong to fancy Hobbits, gawk at the homes on stilts in Broad Channel or challenge your family to a geocache game of historic homes in Queens. If you love tennis, Queens should be on your list of things to do before you die. After all, it has the granddaddy of all American tennis tournaments, the U.S. Open. Buy a day pass for the U.S. Open for one of the tournament's first few days and enjoy the best tennis, inches from your face. Even better, pay nothing to see great tennis at the U.S. Open Qualifying Tournament. When it's hot, cold or raining, the place to be is inside. Go to the Queens Museum of Art and check out the great Panorama of New York City. Learn about the Flushing Remonstrance or visit the King Manor Museum for a walk back to the past. Find your way behind the scenes at the Museum of the Moving Image, one of the best museums in NYC and view contemporary art for free at the little-known Fisher Landau Center for Art. If the days are warm, the water beckons. And Queens has plenty of it. Spend a day at the beach in the city: Visit the Rockaways or hit the beach on the East River. If you'd rather be on than in the water, kayak the East River with the LIC Boathouse. If you're up for some adventure, you have many options to choose from. See how many cemeteries you can hike in one day without getting in a car, bus, train or plane. Visit the Irish or Filipino stretch in Woodside. For a big-picture view of Queens, explore the borough via the 7 subway, aka the International Express. Dare to take the tunnel tour at Fort Totten or clamber over battlements at Fort Tilden. Parade lovers, listen up. Line the streets for the Phagwah Parade, the St. Pats Parade in the Rockaways, the St. Pats for All Parade in Sunnyside or the Memorial Day Parade in Little Neck and Douglaston. When you think of New York City theater, you think of Broadway. But you can catch avant-garde performances at the Chocolate Factory Theater. Or you can go to the Secret Theatre or the LaGuardia Performing Arts Center. You can even tango at Thalia Theatre. If none of that piques your fancy, here are more choices. First, go to Citi Field and watch the Mets -- if you are a fan. Shop Jamaica Avenue for bargains and any baseball hat you could imagine. (Do this before you go to a Mets game.) Run the marathon, or just cheer a marathoner in Long Island City. Learn to race a sprint bike at an honest-to-goodness velodrome or warm up and dance your heart out at WarmUp . Go to Best in Queens and check off all the winners. Play tennis in that huge tennis bubble where the Grand Central and Cross Island meet or play mini-golf under the Apollo rockets at New York Hall of Science. Take the kids to the Queens Zoo. And last, if you really want something offbeat, visit a fortune teller on Main Street, Flushing.